The Bock Family: One Month Old! Oh my........ I cant believe that she is 11 pounds!!! and already one month old.... that is amazing. She is so happy and so healthy and perfect!!! YOu guys are the greatest parents and we are all so blessed that God gave us this beautiful angel..
Yippee! FYI- people want PICTURES!!!!!!! MEGAN BOCK! 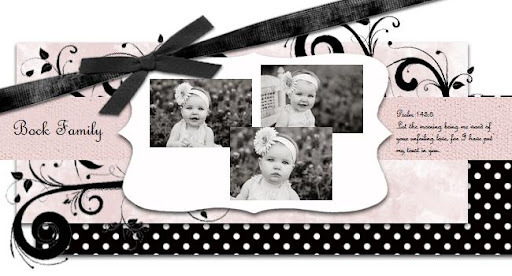 So, came upon your blog via another blog via another blog :) Your little Ella Joy is BEAUTIFUL! Congratulations!! What fun to see what you are up to. Hope to stay in touch!